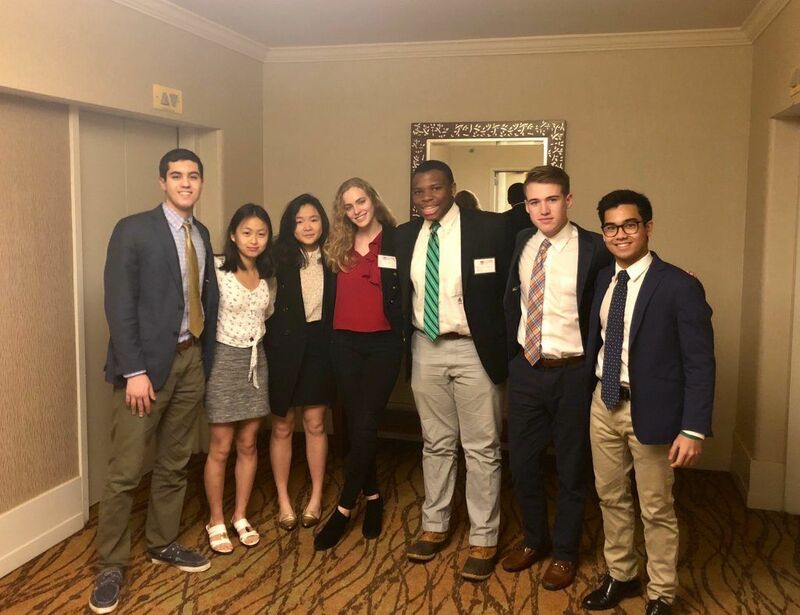 Deerfield goes to Harvard Model United Nations! 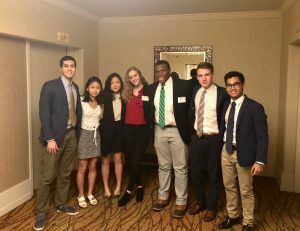 This past weekend, Deerfield sent eight students to the Annual Model United Nations Conference at Harvard University. As representatives of Belgium, the delegates worked extensively in various Economic and Social Council Committees, dealing with Human Rights, Population and Development, Status on Women, and Science, Technology, and Development. Jing He (Class of 2021) even managed to reap in an Honorable Mention in her first collegiate conference for her work on the Status of Women! 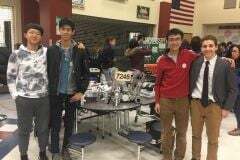 Ryan Safiry ’19, Jing He ’21, Anna Fu ’20, Camila Navarro-Delavega ’20, Chijioke Achebe ’20, Jack Trapp ’19, and Protik Nandy ’19.